Certified Organic, Oat Cereal made with Organic Hemp, Chia and Flax. ONLY 6 ingredients. 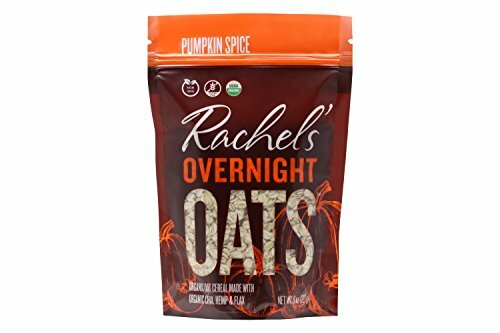 Organic Rolled Oats, Organic Hemp Seed, Organic Flaxseed Meal, Organic Chia Seed, Organic Pumpkin Seeds, Organic Pumpkin Spice. Saves time with easy cold steep or hot prep instructions. Simply add your favorite nut milk, soak up to overnight in the refrigerator, sweeten to your liking and enjoy! Also can be used to make oatmeal smoothies, granola, cookies and more! Final Price as low as $4.13 Shipped!